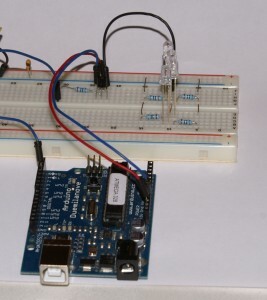 Posted bymarkal 2010/09/13 2010/10/03 Posted inarduino, For beginners, howtoTags: buzzer, photocell, starter-kit1 Comment on Arduino – play! 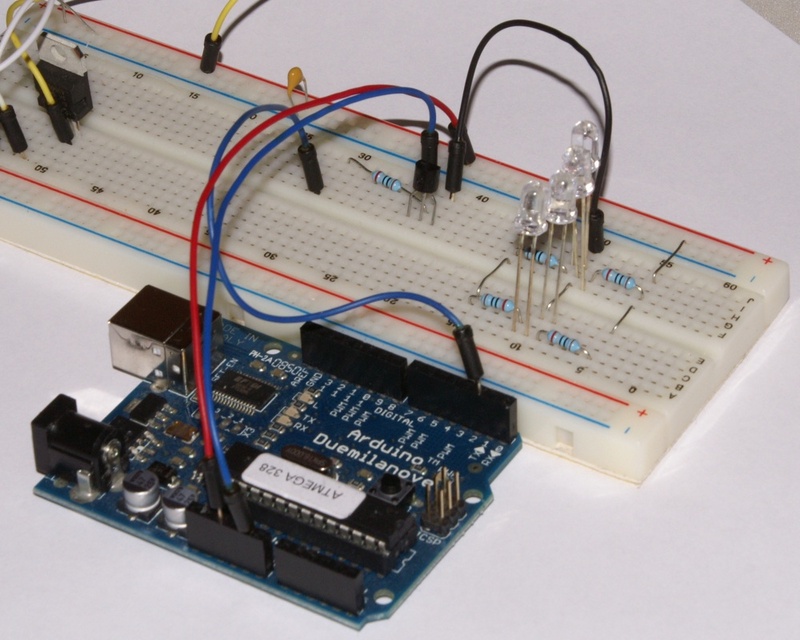 temp = analogRead(0)*5/1024.0; Reading value from analog input and converting it to voltage. 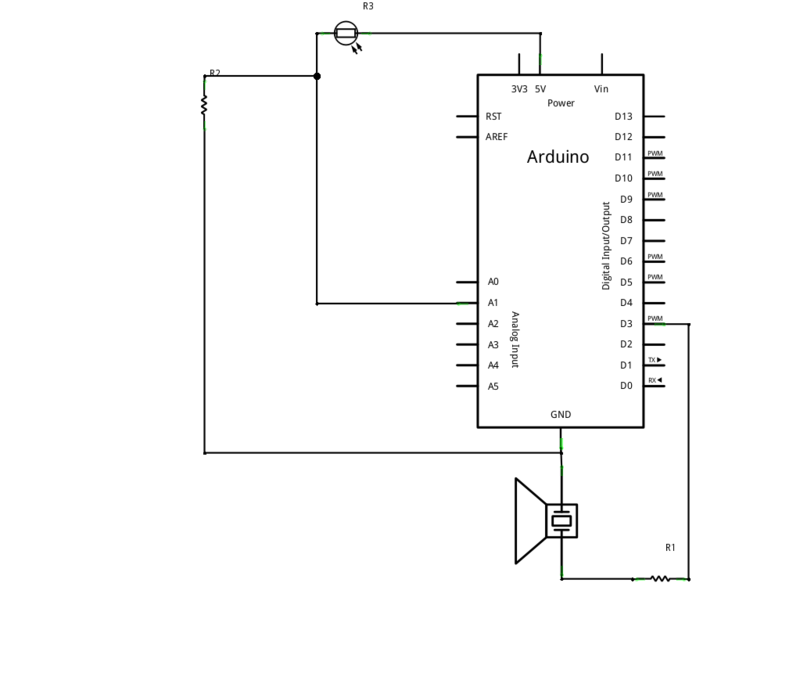 Maximal voltage Arduino is able to measure equals 5V and the A/D converter’s resolution is 10 bits, which means 1024 values, thus voltage value on Analog0 input is the value returned by analogRead multiplied by the voltage equaling one step of A/D converter. You have to remember, that dividing 5 by 1024 would be interpreted by compiler as integer operation and the result in this case will equal 0. Because of this in the code appears 1024.0 and thanks to this entry, the compiler will treat the dividing as floating point operation. temp = temp - 0.5; Calibrating to 0°C – the difference between voltage read from the sensor and 500 mV is linearily dependent on temperature. 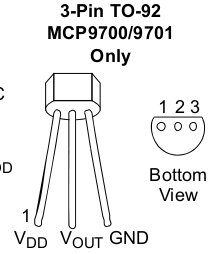 As you can see, the MCP9700 sensor is very simple to use and beginners-friendly. 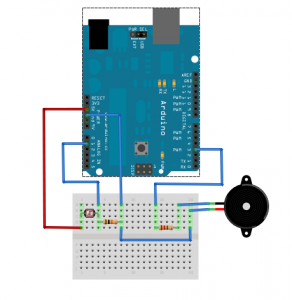 Now everyone can measure temperature with Arduino. I was inspired by a simple DIY game seen on the web (I can’t find the link now) and despite the fact that original version was based on greatly simpler PIC I decided to build it with Arduino Starter Kit. Simple game with Arduino from Starter Kit on Vimeo. Beside the diode, which will be watched, we need also two diodes to indicate who gets the point and who has won the whole duel, buzzer to play simple melody at the end of the game and two buttons. Sooner or later in experiments with Arduino we will want to drive some kind of device, which needs more than 40 mA to work (40 mA is limitary value, because it’s maximum current that Arduino digital output can supply) It may be a relay, lighting bulb or other current-greedy device. We can use a transistor as an amplifier. Analog techniques is very broad issue, which I don’t know very much (everyone who has studied with me know what I mean :) ), but here I will attempt to present a few informations about driving devices with higher current demand. 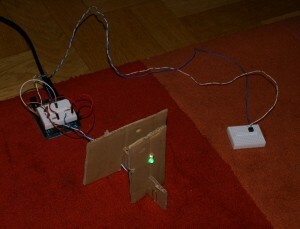 This example is based on materials from Arduino Starter Kit available on Nettigo.eu. What you have to know about transistors. Types – regarding of structure. Basic types are bipolar and field-effect (unipolar). We will focus on the bipolar. They have two groups: NPN and PNP. The difference in structure is other arrangement of semiconductor. Difference in using them is other way the current flows in the transistor, so there are two configurations of the supply voltage. 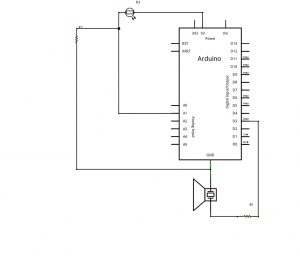 It seems easier to use NPN transistors with Arduino, because they need to be polarised with positive voltage that Arduino provides on digital output. 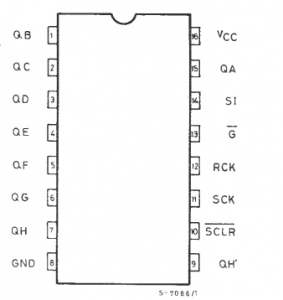 Bipolar transistors can work in many applications and each of them can be used in other way. 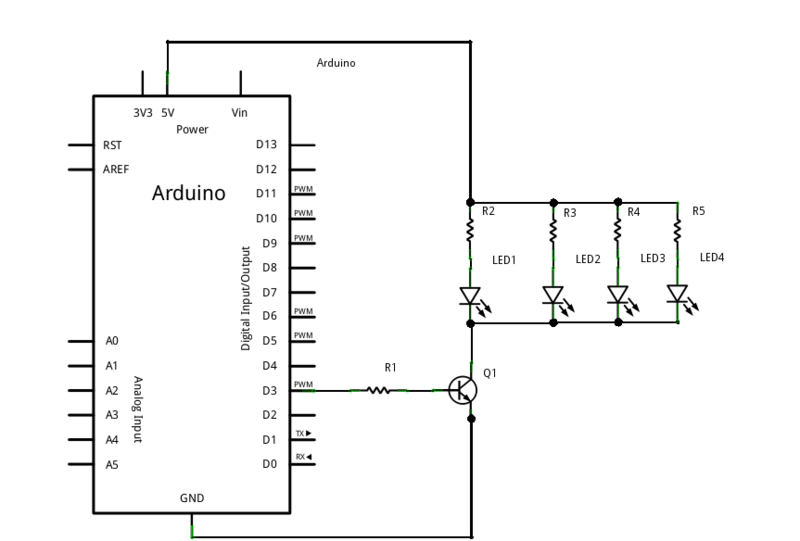 We need to switch high current with low current from Arduino output. 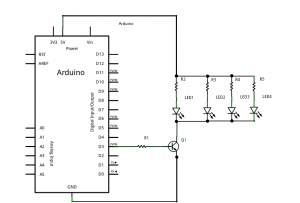 To precise, the application we will use is called transistor switch. In this application the transistor is switched between two states: saturation and cutoff. cutoff: UBE is too low to bias the base-emiter junction. Thus, no current flows through the collector. saturation: such a large current flows into the base, that the law IC=hFE*IB isn’t true anymore. In this case, UCE voltage hardly reach zero. Virtually, the collector current is limited only by the load – what’s connected between the collector and the ground. Current efficiency of our power supply also is a limitation. You must also be careful to not exceed the maximum allowed collector current, which, for currently supplied with Starter Kit MPS2222A transistor equals 600mA. If we supply a 1 mA current to base, the maximal collector current will be 35 mA (1mA * 35). In case of 10 mA – IC will be max. 350 mA. If IB equals 20 mA, IC will be max…. 600 mA. 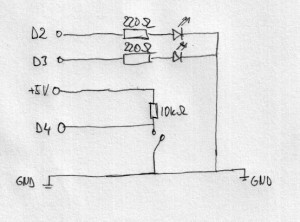 600, not 700, because 600 mA is maximum collector current of MPS2222A. It is worst case, because hFE may vary for different copy of transistor, for one can equal 35, for another 40 – then maximum transistor current 600 mA will be achieved already for 15 mA IB. 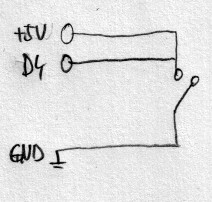 When we close S1 switch (it equals setting Arduino digital output in high state) UCB will be 0.6V, a current starts to flow into the base. It must be high enough to saturate the transistor, so UCE must fall below UCE(sat) (collector-emiter junction saturation voltage). 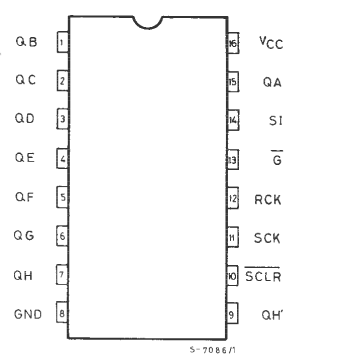 According to the datasheet UCE(sat) value depends on IC and IB currents. We can estimate it as about 0.3V. 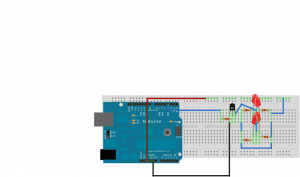 In Arduino Starter Kit there isn’t any part, which could receive current higher than 40 mA, but we can join parallelly some LEDs to demonstrate this issue in practice. 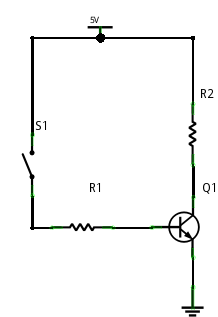 Let’s estimate current flowing through one diode – voltage drop between collector and emitter in saturation state is 0V, voltage drop on red diode – about 1.8V so on the resistor – 5-1.8 = 3.2. For resistors R2-R5 of value 280 Ohm the current flowing through them should be 3.2/280 = 11.42 mA. 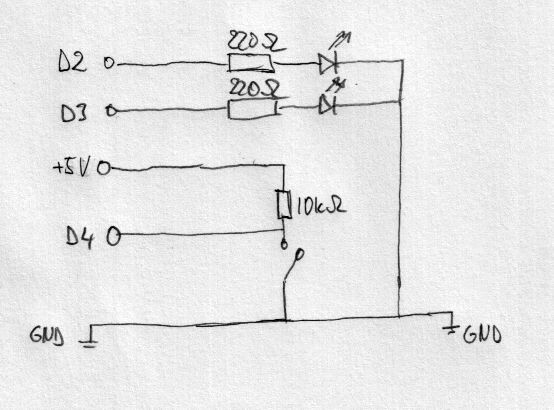 For 4 diodes it should give about 45 mA. Assembly warning – cutted off resistor terminals are perfectly suitable for making short jumpers on breadboard – they are clearly visible in the picture. 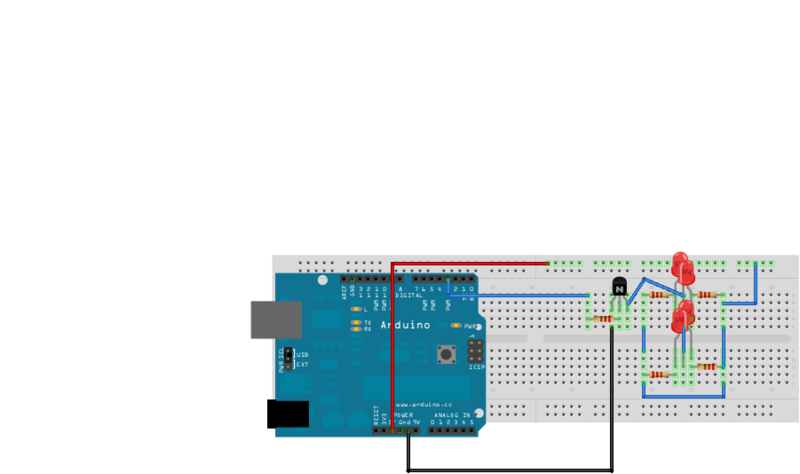 Of course, 220Ω resistors are the ones supplied with Arduino Starter Kit for LED diodes and may have other values – from 200Ω to 280Ω. Regardless of the values, this circuit will work. Driving over 40mA of current – PWM version from Starter Kit on Vimeo. Today I wrote slightly long article, but I had to include some theory here. I tried hard to avoid inaccuracies, but analog techniques aren’t my strong point :) If you notice any errors, please let me know, I will try to correct them.